7.30 p.m. – 9.00 p.m.
We had 19 for the District Practice on the light and easy-going ground-floor six at Sparsholt on Monday. As well as six from the host tower, we had visitors from as far away as Lockerley and Nether Wallop (Andover District! ), as well as contingents from the Cathedral and from King’s Somborne, who had cancelled their practice to come over to Sparsholt. We rang call changes and plain hunt on six, some Grandsire and Plain Bob Doubles, and a course of Cambridge Minor to round off the evening, before repairing to the Plough for a well-earned pint of 6X! The Practice at Sparsholt, on Monday 12th June, is at the usual time of 7.30 onwards. If you want a quiet glass, or a coffee, on the way home there is the famous Plough a quarter of a mile down the road. It is “Firsts Fortnight”, so if there is something that you would like to try , e.g. call, tenor behind, plain course or touch, come prepared and let us know. It would be helpful if you could let me know that you are coming so I know what size chocolate cake to make!!! We are always happy to teach people wishing to learn to ring whether you are a youngster (10 years old is usually the youngest age) or a recent retiree. Our bells are easy to ring, and being a round floor rings means there are no ladders to climb. We often teach the basics of bell ringing between 7pm and 7.30pm each Monday, or at other times by arrangement. 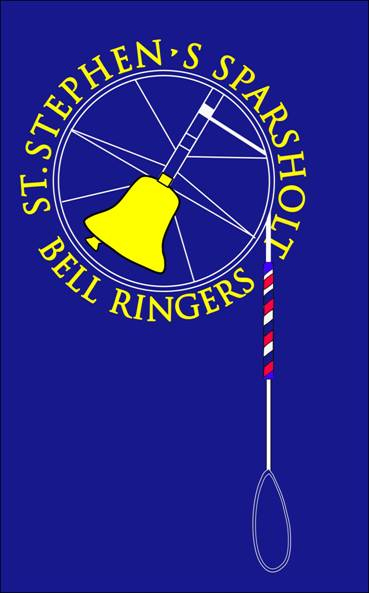 This information was taken from the Sparsholt Ringers’ website and permission is most humble begged for this move!! For full or probationary members of Guild. Contact Jen Churchill – email or phone.